Previosly I've Posted a Question abt wether my Pokemon are ready to battle the elite4 or not and yah thx guys for yr opinion.So basically my Pokemon needs more training before battleing them so where can I find good spots , trainers , places etctec to train them ? How do I get volt tackle? Can any Pokemon learn volt tackle by leveling up or on it's own at all? Victory road has to be the best place for levelling up Pokemon, but as a general rule, the higher the level of wild Pokemon, the more experience points you will gain from battling it. Also, look for trainers who want a re-match... When you battle a wild Pokemon, and a trainer Pokemon, at the same level, the trainer Pokemon will always give you more experience points. Have fun... But just give the Pokemon league a go... Take lots of items, lots of revival herbs, ethers, etc... You never know, you might be ok! Also, save between each trainer... That way, if you gt to trainer four, and you stuff it up, then just switch off your game, and you should be able to restart form where you saved! 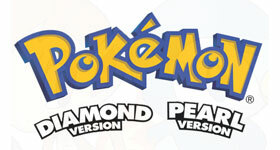 I recommend the Elite Four, they give you tons of EXP. If your Pokemon start to get in the level 50s, you should do a decent job with the Elite Four. Just bring some revives and full restores. battle anwhere you like the best place I suggest is also the elite four. I would say the BEST place to train is most definetely the elite four, as long as you don't mind losing a lot of money :] but, avoid this,(losing money I mean) I equip my best Pokemon with the luck incense, which doubles the prize money, so lets say you beat the first trainer, and you get double the prize money as long as you used the Pokemon holding the incense. If you lose to the next trainer, Bertha, you really don't lose any money, because you have what you would have originally gotten without the incense. So, you techinally don't lose any money if Bertha beats you! :D get it? Third trainer west os sunyshore city, a sailor has 2 lvl 54 Pokemon, the pelipper has no attacking moves so is great for lower lvls to train against as gives loads of exp and theres no risk. I suggest using the vs. Seeker on the fisherman left of the tuber on the way to sunnyshore. The two gyarados and the remormaid give a total of more than 4k experience. I have now all 8 badges and I am past victory road. Keep trying to beat the Elite Four. You don't lose that much if you do lose. Elite Four Pokemon are really strong and experienced. Which is why I recommend re-battling them. Route 211 is where I go. I have a infrenape an use a exp share on the leveling pokemon. My infernape uses close combat and one shots most of them. Just remember to heal every 4 or so battles. But works awesome! And poke center right here to! Great spot for leveling up ANY Pokemon type. I train on route 223 with my Luxray, my Infernape is too OP since I always use it but at the same time I can't defeat the elite four and champion with just one OP Pokemon. I suggest using the Vs Seeker on the Trainers on route 223, they have Pokemon around level 40 so it'll be a good spot for EXP, just make sure you have an electric or grass type Pokemon. What is the master code for the action replay for Pok..
How do I get volt tackle? Can any Pokemon learn volt .. Statue Thing at the Snowpoint Temple At the Snowpoint..